Ah, the Rattlebone undead skeleton creeps. The glowing eyes look better from far above. 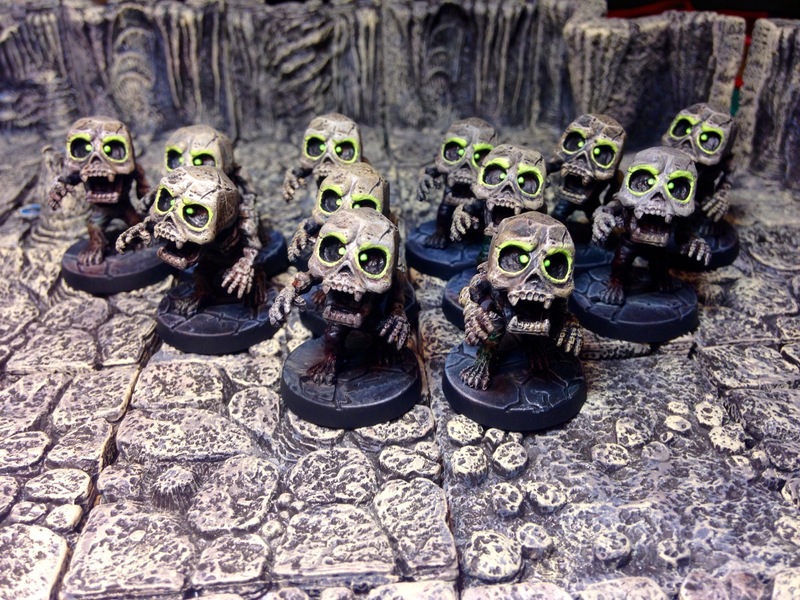 These miniatures are part of the Von Drakk Ghost House tile pack. I have recently received both the tile pack and the Von Drakk Manor level box. My plan on all the SDE skeletons in general is being tested out here: Prime black; progressive drybrushings of colour; pick out some highlights and OSL; and wash fabrics. I want to keep the colours muted and the look ragged. This is quite different than the brilliant colours I use for other areas, but these are centuries-old skeletons, not vibrant sentient plants. Slowly working through my painting backlog. 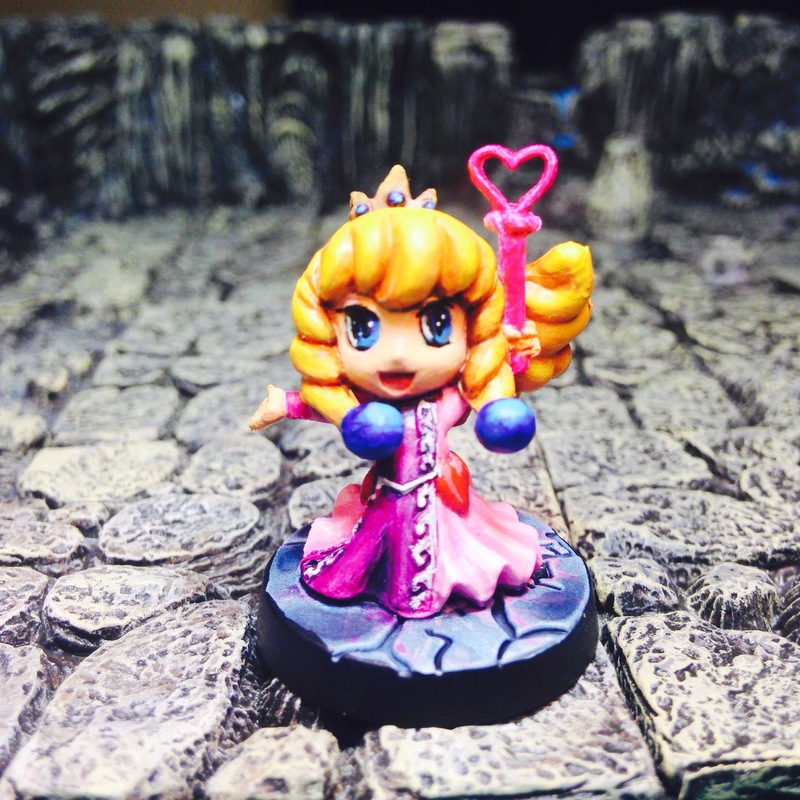 I’m working through Caverns of Roxor, but focussed on Princess Ruby first because of the current Valentine’s Day “Paint the Target” challenge over at Lost Hemisphere. Hopefully I’ll have more to show by months end. Speaking of paint the target, I had painted up Jack Scarecrow last month but hadn’t posted it here. 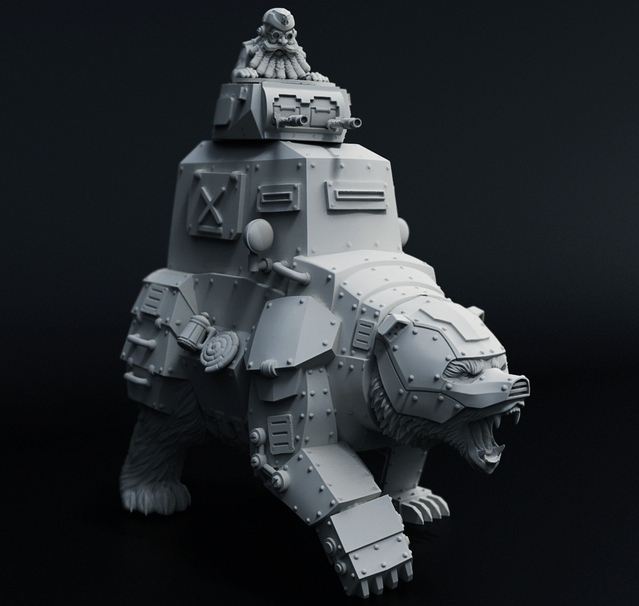 Playing with Non-Metalics on Ser Snapjaw. 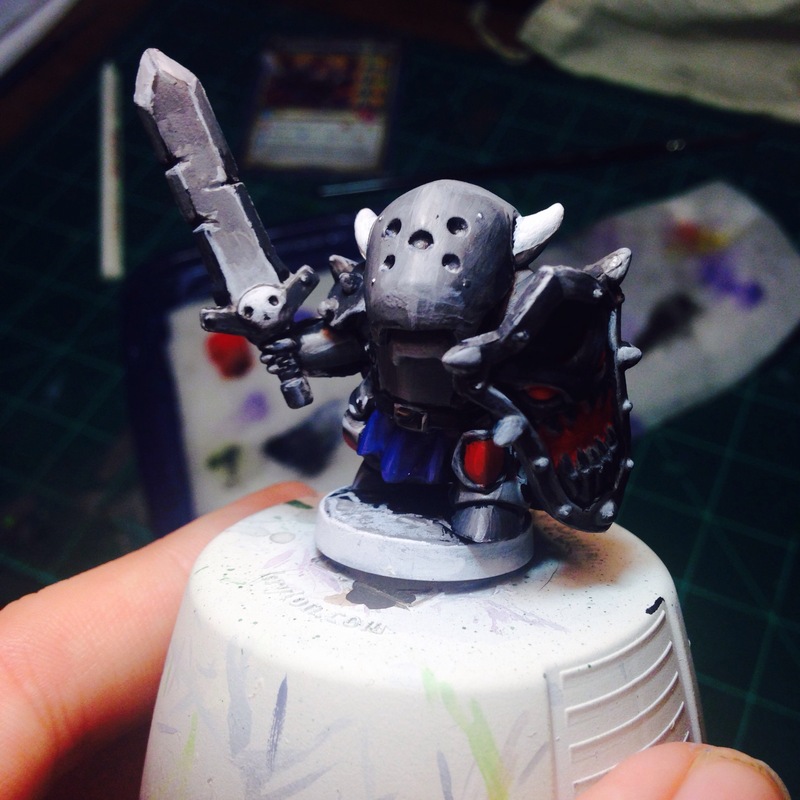 I’m not sure if I’ll include the usual swaths of blood that covers his helm, but I’m quite proud of the sword. With the semester at an end, I’m once again working through my backlog of painting. 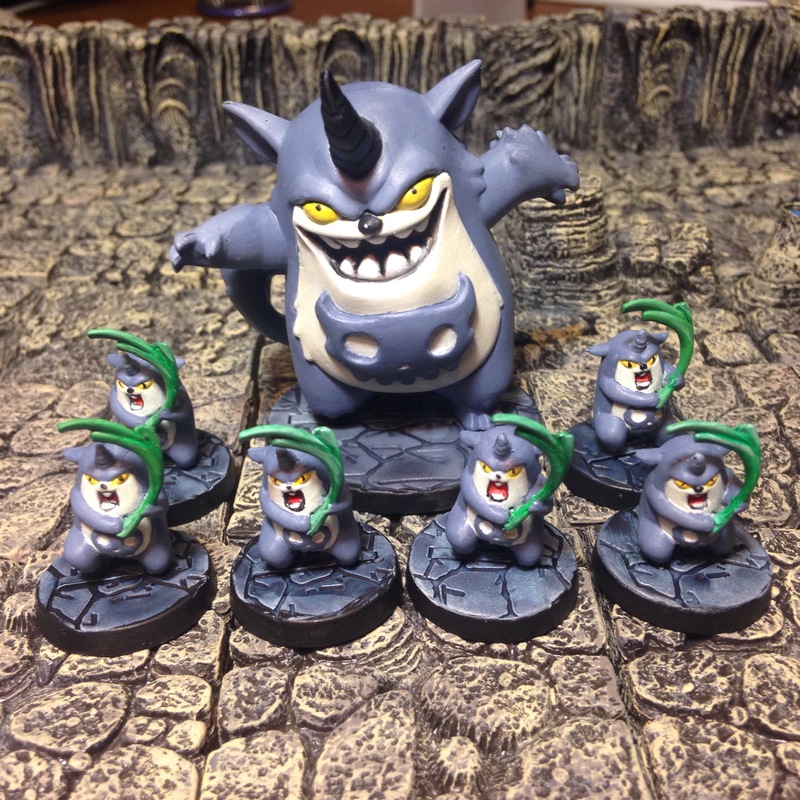 Goro and the Giri are some of my favourite minis for Super Dungeon Explore. I hope to stat these forrest spirits out for my 3.5 chibi game as well. Just recently finished painting up the Old-Growth Hollow spawn points from Super Dungeon Explore. I used almost exclusively washes here to get an organic feel.